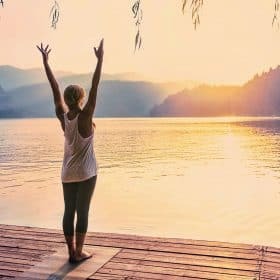 One of the most remarkable truths about natural health is that the most beneficial actions are more often than not readily available and quite simple. It’s a great reminder that our bodies want to be healthy, and have evolved with numerous ways to stay in prime working condition. The highly commercial world of Modern Medicine won’t tell you that, of course. And profit-hungry pharmaceutical corporations would never want to admit that you could get healthy without using their products. But as Savers know, good health can be achieved with natural, drug-free solutions. Today we’ll dig into seven benefits of an easy health booster: walking, a weight-bearing activity that effectively builds bone and much more, as you’ll learn next. Walking in any environment is good for your health (provided it’s a safe place to walk! ), but it seems that some places have added benefits. Research funded by the Economic and Social Research Council (ESRC) examined the impact of experiencing nature on stress levels in adults. Of course we don’t all work or live right by a national park, but even if there’s a community garden, or an atrium with plants, the combination of taking a walk and soaking up some nature has proven health benefits. Don’t forget that reducing stress levels and improving sleep are both important steps toward better bone quality. This study proves that walking hasn’t received its due credit as a form of exercise. Most people think that walking is a less effective version of running, but that’s not true. The physical differences between the two modes of movement impact how quickly they achieve results, but they’re equally capable of achieving them. For some goals, walking is even better! The study, published in the American Heart Association journal Arteriosclerosis, Thrombosis and Vascular Biology, compared large cohorts of runners and walkers over the course of six years to determine how each activity impacted the participants’ risk of cardiovascular heart disease and determining factors. The key here is that both were compared at equivalent levels of energy expenditure. Running expends energy at about 2 ½ times the rate that walking does, so these extra benefits were seen when walkers spent more time walking than the runners spent running. Fortunately, long walks are easy, enjoyable and relaxing! Having trouble focusing on this article? Starting a regular habit of walking can help! Everyone’s brain gets tired sometimes (yes, brains get tired too), and if your work or environment is taxing on your attention, this can have a significant impact on your ability to concentrate. Urban environments in particular are noted for their tendency to wear our the human mind. There’s even a name for the phenomenon: brain fatigue. A study in Scotland has shown that walking in the right environment can create a calmer mental state that ameliorates the effects of brain fatigue. Researchers hooked up participants to mobile electroencephalography (EEG) scanners that monitored brain activity to record five different emotional states: short-term excitement, frustration, engagement, long-term excitement, and meditation. 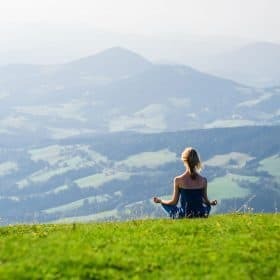 While the above study provides evidence for what a green space does to your brain, other researchers have examined how this effect occurs. It seems that the brain responds differently to the stimuli of nature than it does to an urban environment. Urban spaces boast concrete and glass buildings, cars, reams of advertising text flashing, and a host of other sights and sounds competing for your attention. This constant stimulation doesn’t provide much time for reflection or meditation. Dr. Paul Snowden of the School of Psychology at the University of Surrey has written about the relationship between walking and creativity. He posits that in addition to the clearly established physical and mental benefits of walking, the two combine to create a space where creativity can flourish. We are capable of incredible things: art, science, invention. But you can’t come up with new ideas without providing yourself the space to process and imagine. Walking creates that space, occupying your body with a useful activity while letting your mind wander free. A study published in the journal PLOS One examined 42,000 middle aged adults to learn about the relationship between lifespan and walking. Participants, all of whom had a prior relationship to walking for exercise, were enrolled in a program that set target goals for weekly walking time. The American Heart Association has recommended that adults walk 2 ½ hours every week. But not everyone in the study actually walked as much as they were encouraged to. The results were stark: those who didn’t walk enough were more likely to die early. It’s worth noting that the impact of walking is hard to distinguish from the impact of other activities that regularly walking enables us to do. The benefits of walking facilitate other healthful activities and exercise which in turn increase our strength, well-being and life. This should be a familiar story to Savers. Big Pharma and most doctors will make it sound like the only possible way to prevent a fracture if you’ve been diagnosed with osteoporosis is by filling a drug prescription. But in reality, there are alternative options that are more effective. Plus, these natural approaches don’t have negative side effects. In fact, they have the positive side effect of improving your overall health, making your life fuller and longer. Walking is a great form of exercise for all of the reasons discussed above, and because it’s a weight bearing exercise it’s also recommended in the Osteoporosis Reversal Program to build bone density. If bone health is of particular concern for you, then walking is an important activity, but it needs reinforcement from more targeted exercises. 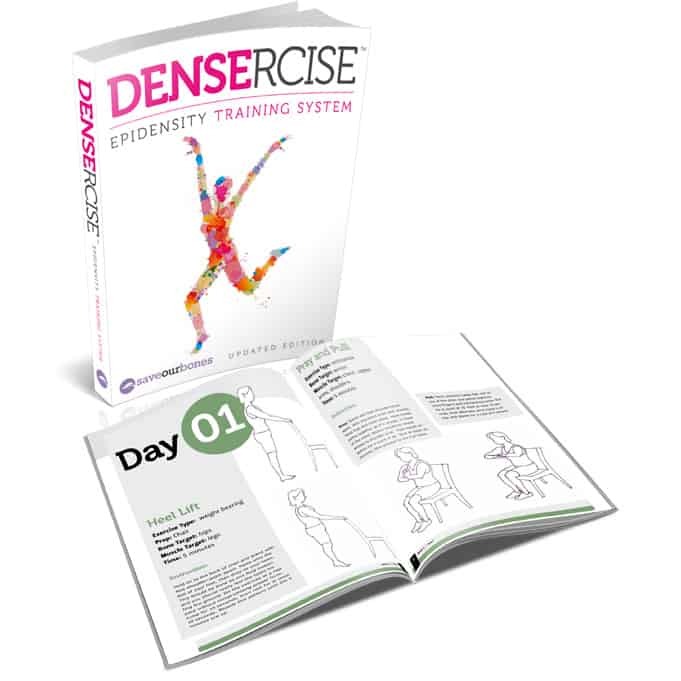 The Densercise™ Epidensity Training System is a simple and effective program to bone building exercises. Backed with scientific studies and with supporting materials like the Densercise™ Eating Guide, it has already tackled the daunting task of designing a multi-week workout routine so that you can start building stronger bones right away. Don’t forget that you have the control to make changes in your life. Take a moment right now and plan a time and location to take a walk today, so you can start taking steps toward a fuller, healthier life. I heard wearing well cushioned sneakers takes away from the pounding that helps our bones when we walk and that a thinner sole is better. What shoes do you recommend? I ordered exercise online 40.00 yet I can’t find it in my email anywher. Please help me resolve it. I need to get started, to benefit and prevent broken bones in the future. I am part of a pulmonary rehab group that meets twice a week. We walk (if we can) for 20 minutes, covering approx 1000meters. Walking and other forms of exercise is good for the lungs as well as the bones. One thing I learned from these sessions is that it’s OK to feel breathless – it doesn’t do any harm. Previously, I used to be afraid of exercise as I became out of breath. It’s not especially pleasant, but I now try and push through it. Thank you once again Vivian for enlightening us. Walking is one of the best ways to keep us healthy. Recently I had the good fortune to holiday in Springbrook, Australia which is near the rain forest. The walks were wonderful and finally getting to see the numerous waterfalls along the way was a bonus. Research has shown that not only is walking good for you but it stimulates the brain with new material as you discover the wonders of nature that are there but alas sometimes hidden from our every day lives. When at home I walk around the block, take time to smell the roses, admire vegetable gardens and sometimes get to chat with various people along the way. Can learn a lot from others……..everybody can contribute something no matter how small…..lessons are learned and sometimes we can really appreciate what we do have in life sometimes taken for granted. Dancing is also very good for you as it uses every part of your body and you also have to use your brain. You can do this at home on your own to music and if you are seated just use your arms and tap your feet………all good contributions to your health and well being. For all Savers I hope you have a great day and enjoy life. I couldn’t agree more, June. Thank you for sharing your experience and thoughts. Walking is something that I will immediately try to increase gradually. Will it also help lower cholesterol and blood pressure? Also are there special foods that will accomplish that? I can only walk using a walker or two canes so I would be grateful if you can give me an exercise that is equally beneficial. Thank you Vivien, hope you have a great day. Thank you for your helpful emails. They are very informative and beneficial. Excellent reminder ! Thank you very, very much. Have a wonderful day Vivian. I hope you have a wonderful day, too, Marlene – and you’re welcome!